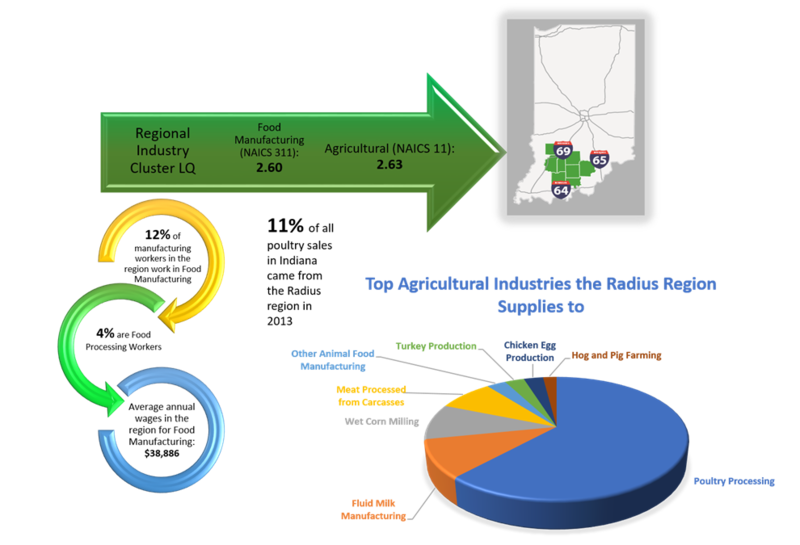 Radius Indiana’s agricultural sector is a state leader in poultry production and grain processing. With abundant farmland and sites for commercial development our region has a well-established agriculture infrastructure that enables companies to set up operations and get products to market quickly. Indiana’s top commodities include corn, soybeans, hogs, poultry and the state ranks as one of the top ten in the nation for agricultural production.